Earn $40.00 in Rewards credit. Click to learn more. 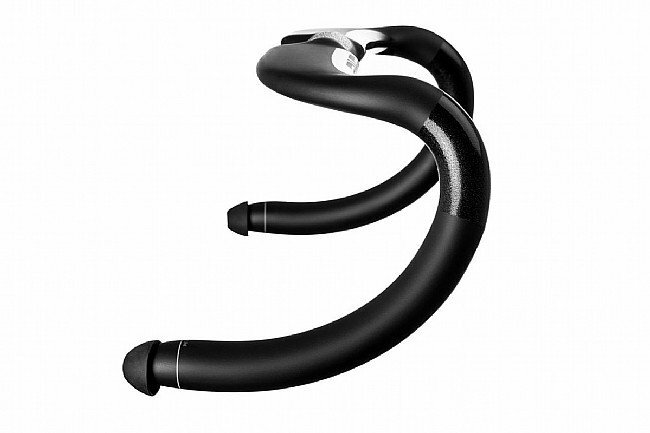 While it's easy to point out that these bars are extremely aerodynamic, and cite the CFD-tested aerodynamic design and wind tunnel testing as its strengths, the real success of this handlebar comes from where it takes you, as a rider. 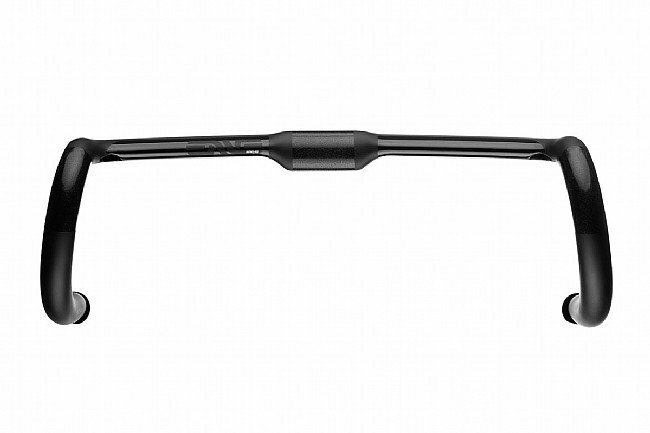 The ENVE SES Aero Road Handlebar achieves the bulk of its aerodynamic gains by placing the rider in an improved rider position, putting the rider in a comfortable exceptionally aerodynamic riding position. 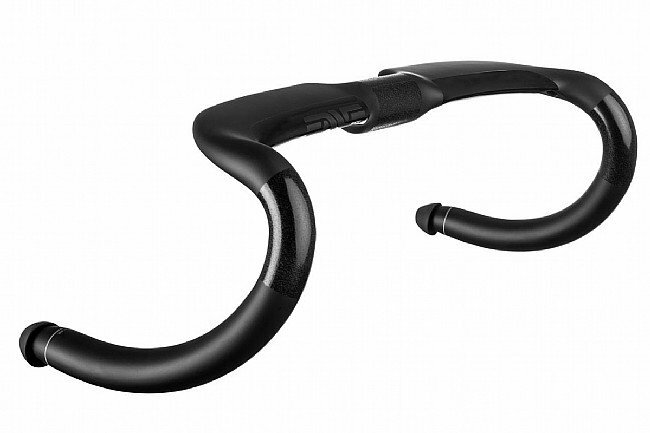 Fully compatible with internally routed bicycles, the handlebars featuring routing for mechanical and electronic systems and an integration for electronic shifting junction boxes. 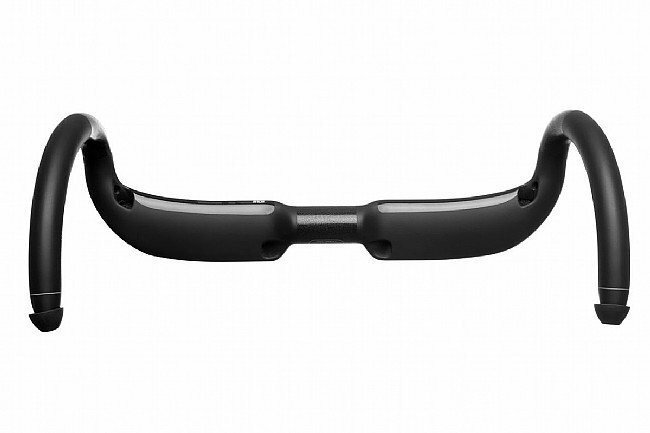 The ENVE SES Aero Road Handlebars are available in 40, 42, 44, or 46 cm widths. Claimed weight: 233 grams. 77mm reach/127mm drop. Note: These handlebars are measured center-to-center in the drops. First of all, I really like the ENVE compact bars and the SES Aero bars are a bit of a departure. The flat platform is very comfortable on the hands when riding the tops, and the flare actually makes riding deep in the drops more comfortable on the wrists. They are very aero and put your arms in a more streamlined position. As it turns out, I didnt need as wide of a bar as I thought. The internally routed cables make the nine look really clean. What I dont like as much when comparing the Aeros to the compact bars they are too narrow due to the flare and I still had to size up (the 46cm bars are 41cm at the hoods), they are noticeably more rigid and dont seem to dampen the bumps as much, and you have to to chop the bar ends in order to install the junction box which sacrifices some of the drop length. Nice and narrow (and aero) at the hoods. Flairs out at the drops for descending and sprinting. Very comfortable and plenty stiff and light.